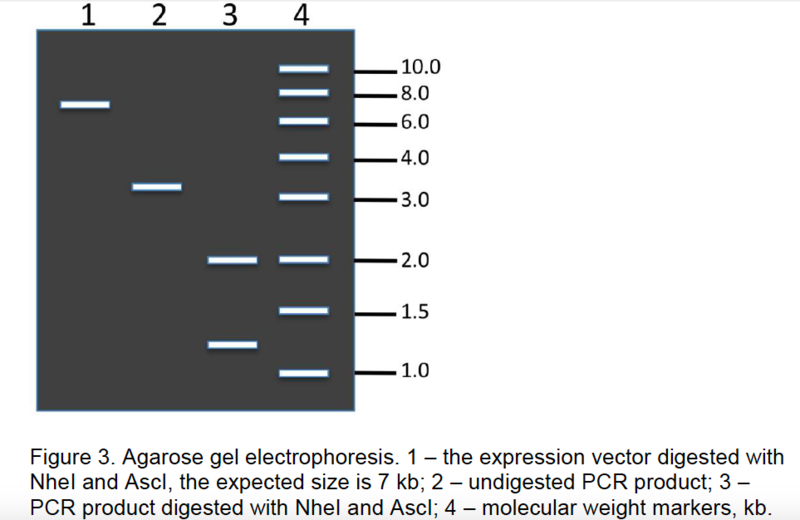 Which DNA fragments do not have the expected sizes? How could you explain the DNA fragments with unexpected sizes? My thinking is that the fragments in lane 3 do not have expected sizes as with only double digestion one fragment should be close to the undigested product in lane 2 and not two...but I'm not sure if this is right. I know that the Nhe1 and Asc1 restriction sites are at the ends of PCR product so there should not be two bands which can add together to give the original...am I making sense? In addition, could the temperature be increased to reduce non-specific primer annealing? Can please someone please guide me along the right lines by explaining their reasoning and offer any advice on how unexpected bands can be avoided? Thanks! Browse other questions tagged molecular-biology dna homework pcr gel-electrophoresis or ask your own question. Does an annealing temp higher than primer's Tm contribute to primer dimer? How to solve the problem of 2 melt peaks in real time PCR?